Finally! 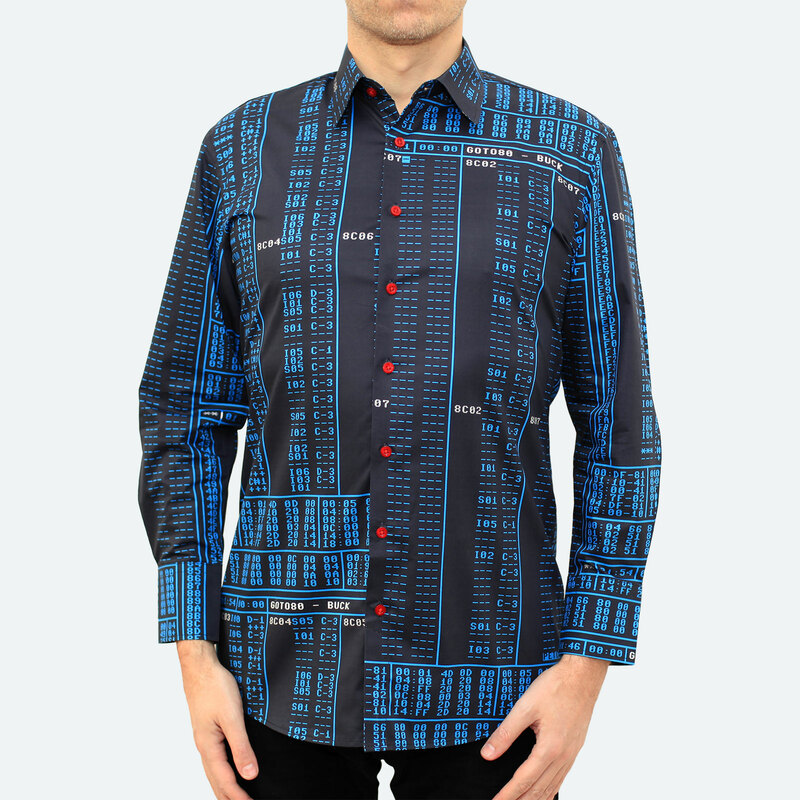 Here is your chance to get a tailor-made shirt with a C64-song on it, and a QR-code that teleports you to the full album! 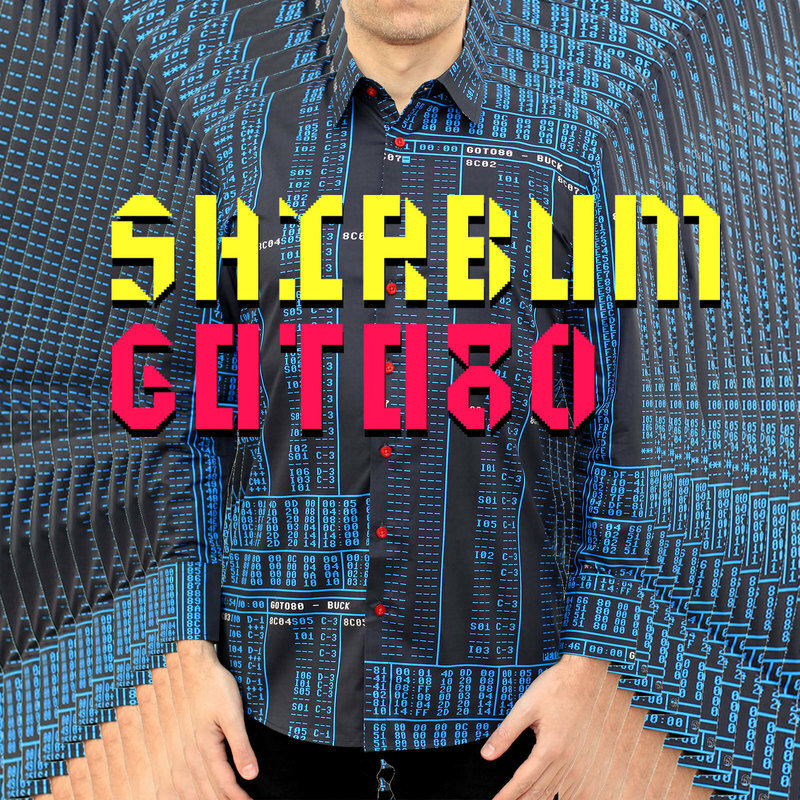 Shirbum contains 23 songs in Goto80's new shirt pop style. Catchy and FM-fonky, with plenty of speech synth vocals on top. 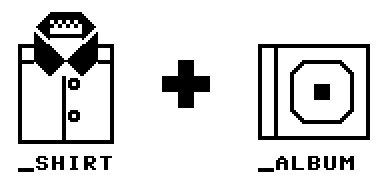 If you are afraid of shirts, you can get Shirbum Light for digital download. It contains only a selection of the songs, though. If you want all the music, you have to get the shirt. It's the Shirbum Way™. The shirts are made on demand using 100% cotton twill, custom printed and sewn by our tailor in Shanghai that we have collaborated with for years. The sewing is done with love. Shirbum is available for a limited time only, and we have only planned for one batch. So make sure to place your order before it's too late. And get one for your lover too. The shirt shows Goto80's song "Buck" as it appears in the C64-program that it was made in (JCH Editor). 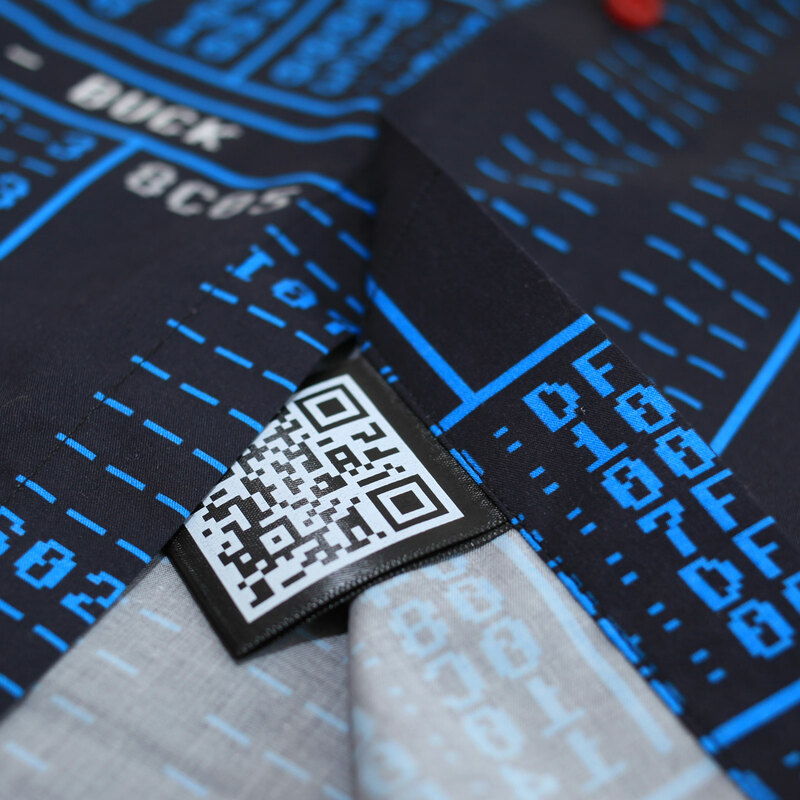 Each shirt comes with a unique QR-code. When you scan it, the music instantly starts to play. 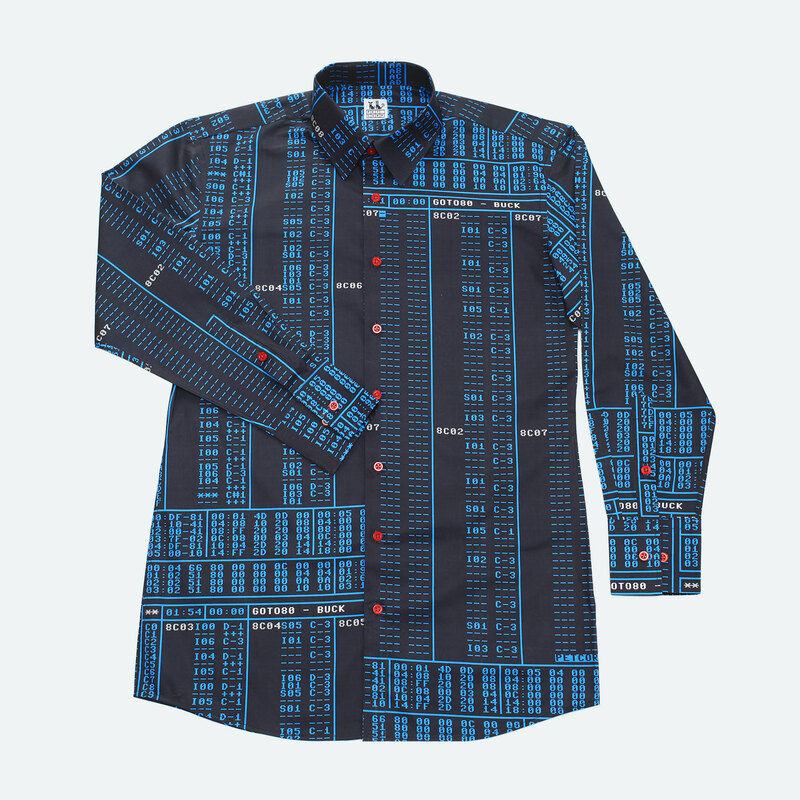 So it's like a wearable album, or a smart shirt. Or maybe an e-shirt? Smart shirt? Hyperwear? Please choose your size carefully using the size guide. Since the shirts are produced on demand, it is difficult for you to change the size after the order has been placed. But if you have any size-related problems, eh, let us know and we will try to help you out! Once orders are complete we'll start producing the shirts and you should get your shirt in ca. 1 month. In the meantime, you'll receive your personal code and download link to instantly get the album in your prefered digital format.